A Christmas Carol has gripped the public imagination since it was first published in 1843, and it is now as much a part of the holiday season as is mistletoe or Santa's reindeer. Here is a wonderful collection of Dickens' Christmas stories, graced with many of the original drawings that appeared in the first edition. Pride of place goes to A Christmas Carol, of course, but the book also includes four other marvelous tales: The Chimes, The Cricket on the Hearth, The Battle of Life, and The Haunted Man. All five stories show Dickens at his unpredictable best, jumbling together comedy and melodrama, genial romance and urgent social satire. The volume also features an excellent introduction by Robert Douglas-Fairhurst, who offers invaluable background to the Christmas stories, illuminating the social questions they address, outlining their reception and the enduring popularity of "A Christmas Carol," and highlighting how their style and themes resonate in more complex ways in his major fictions. 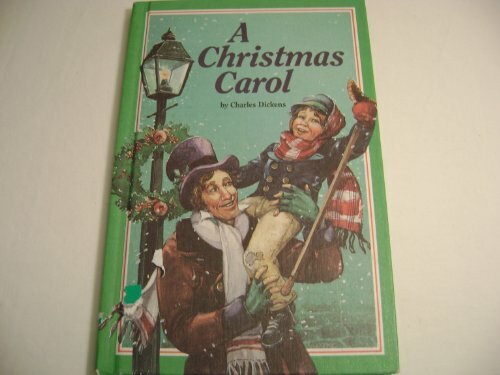 In addition, the book includes two appendices containing Dickens's article, "What Christmas Is As We Grow Older," and facsimile pages from Dickens's reading version of A Christmas Carol.